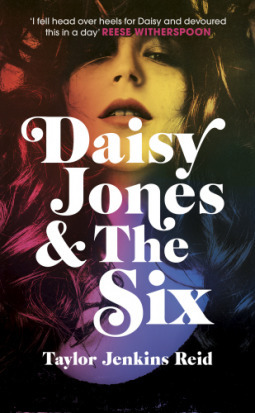 Summary: For a while, Daisy Jones & The Six were everywhere. Their albums were on every turntable, they sold out arenas from coast to coast, their sound defined an era. And then, on 12 July 1979, they split. Nobody ever knew why. Until now. They were lovers and friends and brothers and rivals. They couldn't believe their luck, until it ran out. This is their story of the early days and the wild nights, but everyone remembers the truth differently. The only thing they all know for sure is that from the moment Daisy Jones walked barefoot onstage at the Whisky, their lives were irrevocably changed. Making music is never just about the music. And sometimes it can be hard to tell where the sound stops and the feelings begin. Before this book, I had only read one other Taylor Jenkins Reid book (The Seven Husbands of Evelyn Hugo), which I loved. Well this one has firmly cemented Taylor on my favourite, auto-buy authors list. I hadn't even made it a third of the way through the book before buying a finished copy because I just needed it on my shelves. I felt so thoroughly invested in these characters and their story. I was totally surprised by how much I enjoyed the format of the book -- it's told via interviews with the characters and I loved that it showed how the characters didn't always interpret or remember things the same way and there was that element of unreliable narration to it. The interview thing will be hit or miss for some people, for me it was a massive hit. And the writing was fantastic, I marked so many quotes I loved throughout this book (which, again, shocked me because of the format, I didn't think the format would've allowed for lovely prose but it did). The way the book ended was a little bit disappointing, a little bit underwhelming but it also felt like it was the only way it could've ended well for this story. It felt realistic for these characters, and the way it ended just made it feel all the more real -- like I finished the book feeling like I'd read the story of a real 70s rock back and real people. I'm not sure there are many authors out there that could pull off a story like this so well, but Taylor Jenkins Reid did it and did it brilliantly. So now I need to go back and read all of the books she's written that I've missed while I eagerly wait for her next release. I'd rate the book 5 stars out of 5. Bloggers Heart Books. Theme ligneous by pure-essence.net. Bloggerized by Chica Blogger.